If you are arrested you will usually be taken to the police station and kept in custody until released or charged with a crime. While you are detained in the police station you have the right to free legal advice (legal aid) from the duty solicitor or a solicitor of your choice. We strongly recommend that you have a solicitor present with you during your interview with the police to ensure that you achieve the best possible outcome. Our legal team are available 24 hours a day to advise and represent you. 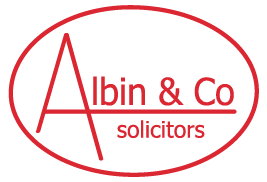 Ask for Albin and Co at the police station and one of our solicitors will discuss your case with you before the interview takes place, advise you of your legal rights and remain present throughout the interview. You will be in good hands as our lawyers have many years of experience and deal with a wide variety of legal cases on a day to day basis. If you have been invited to attend a voluntary interview either at the police station or at another location you have the legal right to have a solicitor of your choice to attend with you. If you would like us to attend with you we can offer a meeting prior to the interview if it is on a voluntary basis. We can explain what will happen during the interview. Please call 0118 957 4018 or contact us online to request a call back if you or a friend or family member need legal representation. I just want to say a huge thank you for all your help over the last year, not sure what we’d have done without you.